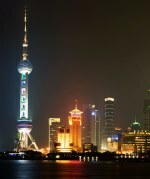 A vast nation replete with diversities, Russia geographically spans the breadth of the two continents of Asia and Europe. 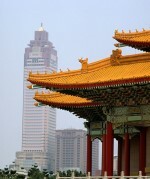 It is the largest country in the world in terms of its geographical area of more than 6.6 million sq. miles, and is almost twice the size of the U.S. While the population is 141 million, the population density in the country is 25% of that of the U.S., amongst the lowest in the world. A country with extreme climatic conditions, difficult terrain, and spread over 10 time zones, Russia boasts of abundant mineral resources, especially oil, natural gas, and coal reserves. 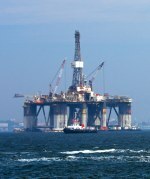 It is the world’s largest oil producer and the second largest exporter after the OPEC. The city of Moscow is clearly the political, economic, and financial center of Russia, accounting for over 50% of the country’s credit institutions and foreign direct investment. The largest republic of the erstwhile Soviet Union, Russia has also been witness to contrasting political structures. As a part of the Soviet Union, it experienced an authoritarian one-party communist regime from 1917-1990. Under its rule, critical decisions related to production, consumption, and distribution were centrally planned and enforced. The period also marked the genesis and build-up of the Cold War, characterized by the rivalry between the U.S. and the former Soviet Union, the two superpowers who battled each other on numerous turfs, whether it be ideological, political, economic, technological, industrial, or military. A testimony to Russia’s remarkable transformation to a free market society, the RTS Stock Exchange supports an emerging economy with a market cap crossing the US $1 trillion mark. The stand-off intensified during 1945-91, and though there was no direct military confrontation between the U.S. and the Soviet Union, it led to the creation of an increasingly polarized world. The Soviet Bloc, consisting mainly of communist nations in Eastern Europe, was pitted against the Western and Southern European nations which owed allegiance to the U.S.-propagated capitalistic ideology. While Joseph Stalin, who assumed power as the communist leader of Russia in 1922, rapidly transformed the Soviet Union into an industrial powerhouse, his policies were inward-oriented, and led to increasing isolation of Russia from the rest of the world. The regime of Mikhail Gorbachev during 1985-90 is considered to be a groundbreaking one, marking the end of an era of isolation. At this time, the country experienced a visible paradigm shift. The cold war with the U.S. started thawing during this period. Gorbachev propagated the principles of glasnost and perestroika (openness and restructuring), encouraged private enterprise, as well as economic reforms. He initiated the process of the country’s integration with the world. The opening of the first Soviet McDonald’s outlet in Moscow in 1989 was one of the first outward signs of Russia’s changing attitude to the western world. However, while Gorbachev was proclaimed worldwide as the pioneer of change and a visionary, he became increasingly unpopular in the Soviet Union as Russians battled scarcity of food and other basic amenities. There were agitations and increasing demand for independence from the 15 republics of the USSR. Democracy made its first entry into Russia in 1991 when the Soviet Union disbanded itself into numerous independent states called the Commonwealth of Independent States (CIS). In that year, Boris Yeltsin emerged as the first democratically elected President of Russia. The Matryoshka, or nested doll, originated in Moscow over 100 years ago, and remains an endearing symbol of Russian culture. The early 1990s were characterized by an austerity regime, which caused prices to skyrocket, while a severe credit crunch devastated many industries in Russia, triggering a virtual depression in the country. The reforms also wreaked havoc on the living standards of the populace, who were now deprived of the Soviet-era state subsidies. However, Yeltsin’s promise to discard some unpopular economic reforms, and boost welfare spending, helped him regain a second term as President in 1996. However, political and economic debacles continued to engulf the ailing President, especially Russia’s debt default in 1998 and the ensuing financial crisis. Yeltsin eventually resigned in December 1999 in a surprise move, nominating Vladimir Putin as the acting President, who then went on to win the Presidential elections in 2000. Putin was subsequently re-elected for a second term in 2004. Despite being forced to serve as the Prime Minister from 2008 for four years due to a constitutional requirement, Putin has remained the main power center in Russian politics. While Russians constitute about 80% of the population, and Christianity is the predominant religion, Russia still maintains an ethnically diverse character. The affluent Moscow region contributes to one third of the country’s output. The vast expanse of North Russia, Siberia, and the Far-East is home to over 60 ethnic groups, many of whom lead a primitive lifestyle with hunting, cattle breeding, and fishing as their main occupations. Siberia, which constitutes 75% of the Russian landmass, accounts for just 23% of the Russian population owing to its treacherous terrain and severe winters. Three out of four Siberians live in urban areas, while the rest practice herding, farming, and hunting in isolated or nomadic settlements. Since the collapse of the Soviet Union, Russia has experienced a decline in its population growth rate. The life expectancy is the lowest among industrialized nations and Western European countries. This is especially true of male life expectancy which is 59 years, the lowest even within the CIS region. In contrast, most Western European countries like France, Germany, Italy, and the U.K., boast of an average male life expectancy of 76 years. Shockingly, Russia on an average expects only 42.1% of its male population to survive up to 65 years of age. The socio-economic turmoil in the 1990s, labor market restructuring, and loss of social provision have manifested themselves in psychosocial stress and alcoholism. This has resulted in a higher incidence of cardiovascular ailments. Such mortality trends pose a challenge to the socio-economic development of the country. However, on a positive note, the country touts a 99% adult literacy rate, which is quite aligned and comparable to the developed world. Coupled with a newfound standard of living that is impressive, the country fairs reasonably well in human development, ranking 67 out of 177 countries in the world. Russia prides itself for having more higher education graduates than any other country in Europe. Despite efforts to diversify, the oil and natural gas industry continues to drive Russia’s economy. 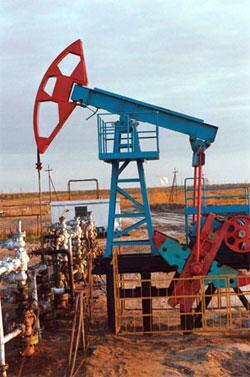 Russia’s economic fortunes are closely linked to its immense reserves of natural resources, mostly oil and natural gas. The country is also naturally blessed with a rich variety of metals and minerals. Over 70% of Russian crude oil production is exported, making the country one of the leading global suppliers of black gold. Some of the world’s leading oil producers are based in the country. A leader in the production of natural gas, the country is also home to the world’s largest natural gas company, which alone accounts for 20% of the total global production. Many of these firms are multinationals that have business interests spread across the world. While officially, the energy sector accounts for just above 20% of Russia’s GDP, Ruchir Sharma points out in his book, Breakout Nations, that the importance of oil and natural gas to the economy should not be underestimated as it accounts for two-thirds of exports and brings in half of federal revenues. The chaotic 90s that followed the collapse of the Soviet Union witnessed a fire sale of some valuable state-owned firms to a group of well-connected businessmen, who came to be known as oligarchs. Amid the turmoil, the election of the charismatic Vladimir Putin as President in 2000 was a refreshing change for an economy that had just come out of a centrally-planned system. Having seen the disintegration of the mighty Soviet Union, Mr. Putin would initially tread carefully, instituting an oil stabilization fund that could be utilized in lean times when energy prices fell. Attempts to encourage entrepreneurship and a reduction in personal income taxes fueled a consumer-led boom in the economy. Surging oil prices helped, too. Besides petro dollars earned from selling oil and natural gas, Russia could now bank on a new engine to power its economic growth: consumer spending. Sectors such as media, banking, retail and consumer goods were in full bloom, the first visible evidence of a diversification in the economy beyond the resources sector. While domestic retailers led the way, global investors who had a stake in the pie also benefited from the windfall profits. Services and manufacturing, the other main contributors to Russia’s GDP, emerged as the main drivers of economic growth during this period. 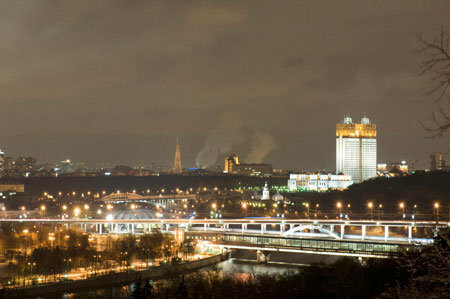 Moscow enjoys the distinction of being the largest city in Europe, ahead of London. 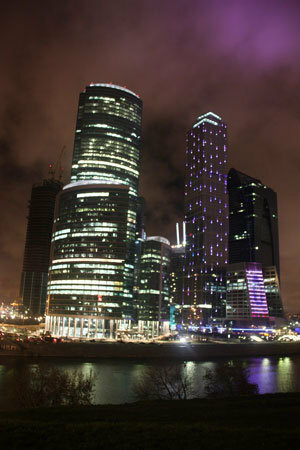 As Russia emerges as one of the world’s economic powers, the country’s capital has become the cynosure of all eyes. The eight years between 1998 and 2006 recorded an amazing economic turnaround, as Russia’s GDP expanded substantially, while per capita income zoomed to about $13,000. Poverty rates were cut by half and regional disparities had begun to tone down. The inflation rate, which was as high as 47% in 1996, declined to 9.6% by 2006. High-energy prices, robust domestic demand, large foreign inflows and macroeconomic reform enabled the economy to clock impressive growth. Economic growth averaged above 6% between 2001 and 2008, touching a high of 8.1% in 2007. During his first two terms as President Mr. Putin enjoyed a wave of political stability and economic growth. With the financial crisis of 2008 though Russia’s rapid ascent would soon face economic headwinds. The Russian government, encouraged by the nearly 200% surge in crude oil prices between 2006 and 2008, increased pensions substantially. But the recession which followed led to a nearly 10% contraction in the economy, exacerbated by the sudden plunge in oil prices as the global economy slowed down. The administration responded by launching a massive stimulus program that used money from the oil stabilization fund. The timely action helped restore economic growth, albeit at a much slower rate. Understandably, the economy that emerged from the recession was a pale shadow of its heady days. Slowing economic growth affected the lives of citizens as unemployment soared and wages stagnated. The state-dominated energy sector suffered due to depressed export demand, while decline in investment hurt the manufacturing and retail sectors. 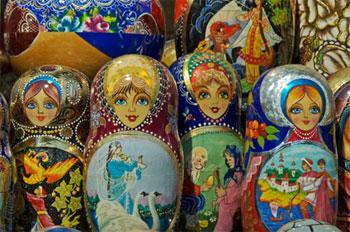 Several years of steady economic growth had brought prosperity to the people of Russia. However, the recession affected their quality of life substantially, which fueled social tensions. Simmering discontent among middle-class Russians led to street protests in 2011 and 2012 that demanded effective governance and better standards of living. The government was forced to dip into its reserves again to hike salaries and pensions. Weakening oil prices since mid-2014 worsened Russia’s economic standing further as growth rates seesawed between low single digits to downright contraction. Amid the downward spiral of the economy, the government tried to divert public attention from problems at home by pursuing an aggressive foreign policy abroad, spearheaded by Mr. Putin who became the President for the third time in 2012. Russia’s annexation of Crimea in 2014 and its military adventures in Syria appeared to be carefully chosen tactics meant to appeal to the patriotic sentiments of proud Russians. What is holding Russia back? Russia was a favorite destination for FDI inflows until the onset of the financial crisis of 2008-09, when foreign investments were reduced to a trickle. The country’s business environment is still a weak area, with government intervention in private enterprises being the norm rather than the exception. In the strategic energy industry, only those who are close to the inner circles of power can hope to run their businesses smoothly. Foreign investors, by and large, have remained skeptical of dipping their toes into the Russian waters, discouraged by the lack of transparency in business. Still, Russia, with a population of about 140 million, is too large a market to be ignored by any foreign firm that seeks a global footprint. While the financial crisis of 2008-2009 interrupted Russia’s fairly long period of steady economic growth, oil and natural gas exports still remain the lifeblood of the economy. The dependence on oil alone for its economic growth is a risky proposition as Russia has realized time and again over the years. What’s more, revenues from oil’s heady days were channeled to augment welfare payments such as pensions as well as salaries. To be sure, there are other emerging economies such as Brazil and South Africa that are mainly dependent on commodities. But what makes the going tough for Russia is the lack of an institutional framework and political will to launch reforms. This has hampered the development of non-energy sectors such as banking, retail and manufacturing. Attempts to build a knowledge-based economy too have not established a firm foothold. What’s more, compared to other emerging markets, Russia has not built up the number of small and medium-sized enterprises in its domestic business sector, so crucial to the development of any economy. While Russia has the size and scale to emerge as a large market for consumer products, its consumer-oriented industries such as retail are yet to make much headway. Lack of proper infrastructure, such as good roads, is hurting the development of the sector. With this, Russian companies in non-oil sectors are hardly known outside the country’s borders even as its energy sector boasts of some of the world’s largest oil and natural gas firms.